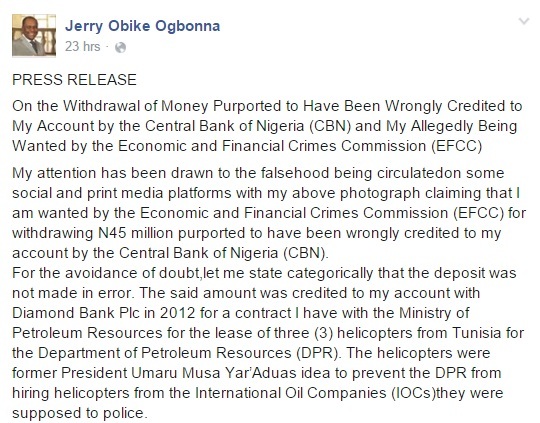 Few days ago, Jerry Obike Ogbonna was reportedly declared wanted by the Economic and Financial Crimes Commission (EFCC) for withdrawing large sum of money wrongly credited into his account. "The public is hereby notified that Jerry Ogbonna Obike Phillip, whose photograph appears above, is wanted by the Economic and Financial Crimes Commission (EFCC) in a case of stealing. 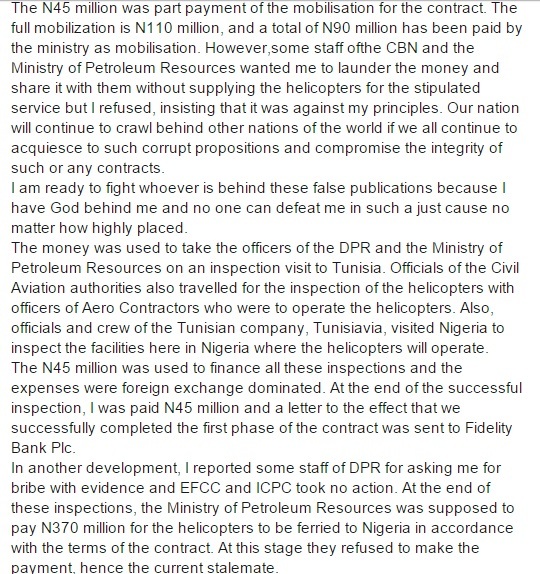 Phillip allegedly withdrew the sum of N45,000,000.00 (Forty Five million naira) which was mistakenly credited into his account in a new generation bank by the Central Bank of Nigeria before the money could be reversed to its rightful owner." The accused man has now taken to his Facebook page to break his silence and speak out for what he called 'false accusations' and threaten to legally fight whoever is behind the allegations.